We are a UK based supplier of quality seasoned firewood. Based in Amersham, Buckinghamshire we have been delivering logs for over 10 years supplying to both residential and commercial customers. We are pleased to be able to provide a fast and reliable service to meet the needs of the customer offering a same day/next day delivery if required. 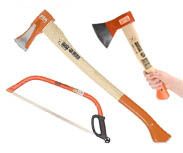 Axes, Baskets, Saws and more..
We don't just sell logs and coal, we also sell axes, Grollia tubs, bow saws, log baskets, log stores, fireplace surrounds and log nets. 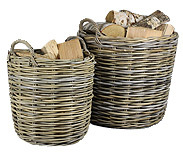 View our firewood accessories.